An accelerated program to prepare you for the next stage of your career. 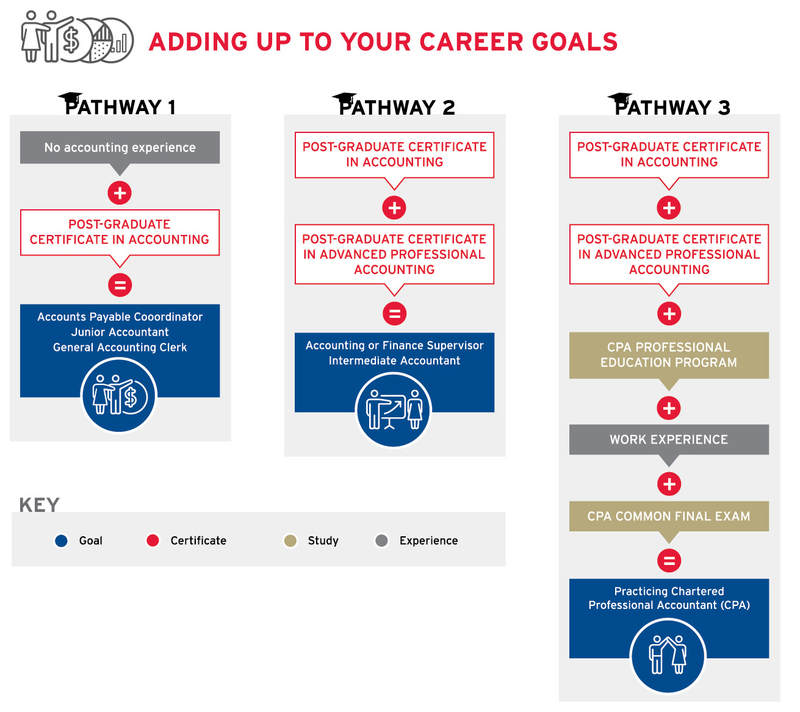 Planning to pursue your CPA designation? Our new accelerated Advanced Professional Accounting program gives you the opportunity to continue your accounting training while simultaneously sharpening your leadership skills. After all, excelling in an accounting position requires much more than just technical knowledge. Many top employers believe that emotional intelligence, critical thinking, communication, and business acumen are equally important skills to have. Accounting professionals who master these key competencies routinely receive the best job offers and promotions throughout their careers. Launched in September 2017, the Post-Graduate Certificate in Advanced Professional Accounting equips you with the valuable skills you need to further your career in accounting or finance. Best of all? You can complete the entire program in just eight months full-time. Under the guidance of industry experts, you will learn advanced accounting fundamentals, in addition to business acumen, problem solving, presentation skills, and much more. The program culminates with a unique final capstone course where you will apply your knowledge to real-world challenges. 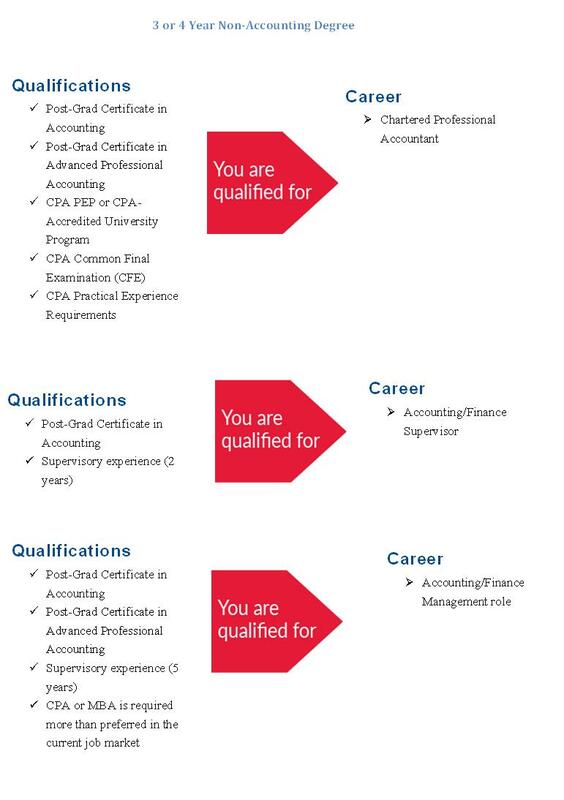 You will also meet the entry requirements for the graduate-level CPA Professional Education Program (PEP) to complete the globally recognized CPA designation. Graduates of the Post-Graduate Certificate in Accounting or those who have already completed or received exemption from the CPA preparatory courses: Introductory Financial Accounting, Introductory Management Accounting, Economics, and Statistics. Please note it is the student’s responsibility to ensure they meet the requirements of the external designation.